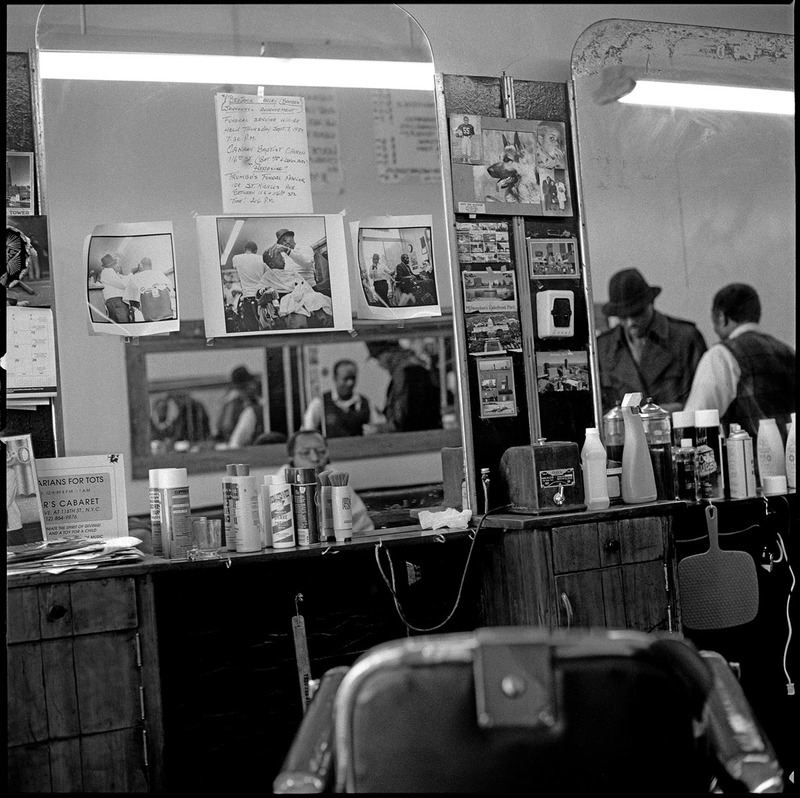 Located just half a block from the legendary home of bebop, Minton’s Playhouse, House’s Barber Shop did business inside a plate-glass storefront in Harlem, New York, for nearly 70 years. Luminaries such as Charlie Parker, Dexter Gordon, Lee Morgan and Max Roach would come to House’s for a fresh cut before a show. Word had it that Malcolm X, whose mosque was on Lenox Avenue and West 116th Street, would frequent the spot. House’s served everyone from musicians, artists and scientists, to bus drivers, postal workers and scoundrels for the better part of the 20th century. Founder Jesse House set up shop on Seventh Avenue and West 118th Street when he returned to the neighborhood after serving as a GI during World War II. When he retired, his son, David, kept the shop going until David’s own retirement in 2004. David died a year ago, but before he died, he learned that House’s Barber Shop would be preserved for future generations in a book of photographs. The book, simply titled House (SPQR Editions), presents the work of Jeffrey Henson Scales, currently the photography editor of The New York Times Sunday Review. 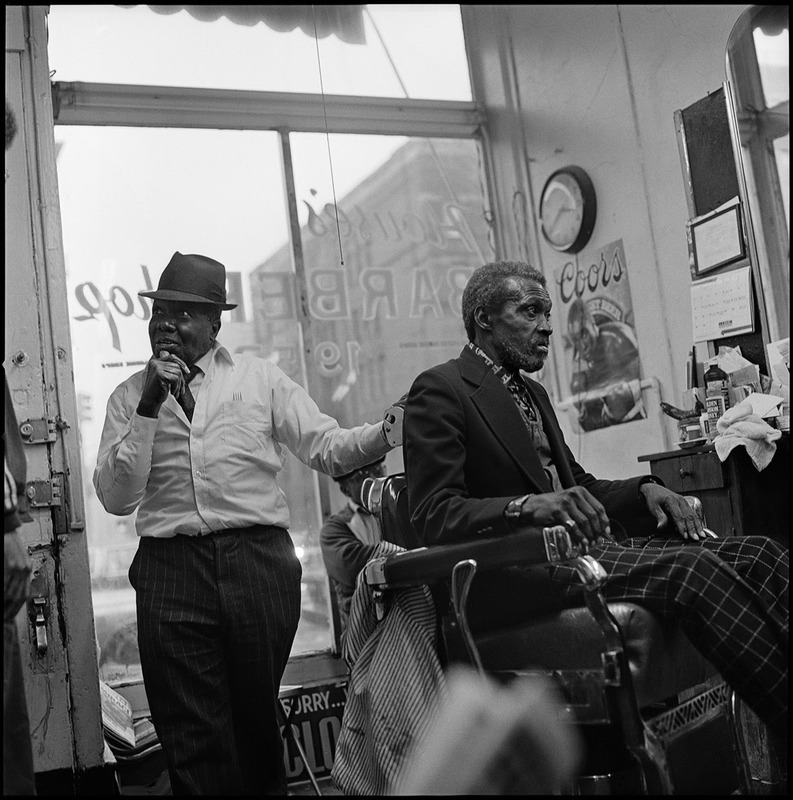 His pictures, shot between 1986 and 1992, provide a front-row view of life inside the barbershop. With jazz music wafting through the room, we enter a world where men of all ages share their lives while getting a shape-up, a fade, or even a conk. House’s Barber Shop series, 1987-1992, by Jeffrey Henson Scales. House’s is now gone. 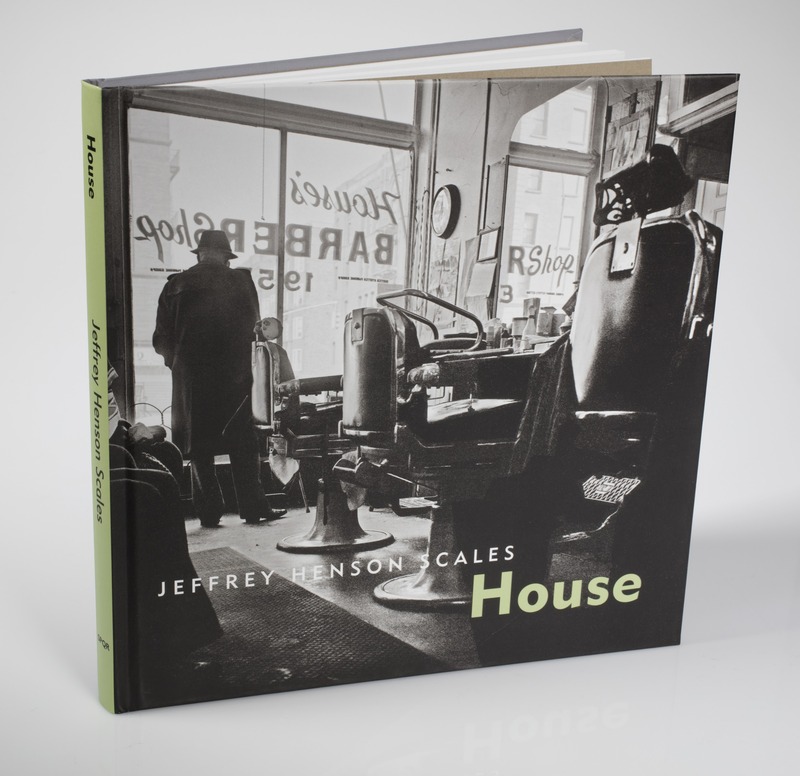 But with the publication of House, Scales gives back all that he received those years inside the shop. The book cover tells it all: a lone figure standing inside the picture window, with his back to us, unidentifiable yet emblematic of cool, crisp, style and grace. A line of three empty barber chairs is behind him, ready for the first customers of the day. Born in San Francisco and raised in Berkeley, California, Scales grew up in an artistic family. His father, Emmet Scales Jr., an audio engineer, was one of the managers at the hungry i nightclub in San Francisco during the late 1950s and early ’60s. He kept a reel-to-reel in the trunk of his red Chrysler 300, and used to drive around town recording local musicians. His mother, Barbara, was a painter and filmmaker who used to take young Jeffrey with her to graduate classes at the University of California-Berkeley. “In a certain way, I was groomed to be an artist,” Scales said. His father gave him a 35mm Leica, his first camera, when he was 11. At 13, he began to photograph Black Panther Party leaders Bobby Seale, Stokely Carmichael and Eldridge Cleaver, which were published in The Black Panther Paper between 1968 and 1971. By the age of 14, his work was published in Time. With jazz wafting through the room, we enter a world where men of all ages share pieces of their lives while getting a shape-up, a fade, or even a conk. He chose the Hasselblad because it was of course state of the art — and the square format camera was perfect for album covers. Its waist-level viewfinder required the photographer to look down (rather than head-on) to take the picture, providing a kind of discretion that allowed subjects to feel at ease. Scales got to know the neighborhood by taking pictures. “Part of learning about where you live is by photographing the faces of the people who live there. My street photography is a lot of portraits walking around Harlem, just looking at the blocks, the place, the people,” he said. When he could, he would find a way to kick something back to the shop. At the time, Scales had a commercial photography business, working primarily for magazines and record companies. Inside House’s, he shot an album cover for Earl “Fatha” Hines, and an ad for Columbia Records that ran in Billboard during Black History Month. “I used to try to employ as many people [from the neighborhood] as I could on some of those larger productions,” he said.